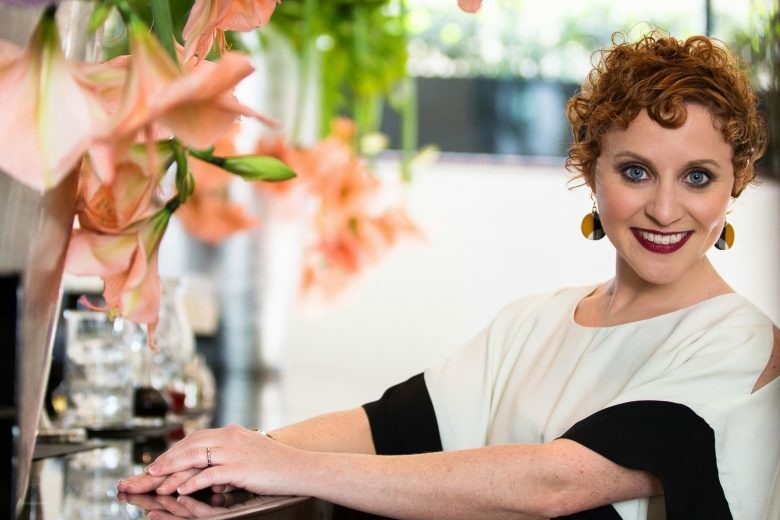 Find out how Julie Girgenti launched Exceptional Events, an event company that designs, plans and manages wow-inducing, once in a lifetime event experiences all around the world – and makes clients’ dreams come true. I started out as a dancer, a choreographer and a dance teacher. I have a BA in Dance and an MFA in Choreography. Along the way, I worked in small gorgeous boutiques, as a community organiser for an environmental group, a project manager for a pharmaceutical marketing agency and as a manager in high end-hospitality and luxury retail. I had been planning events my entire life, it seemed, but never realised it until a colleague pointed it out. I had been planning events at a world-renowned luxury department store for some time but it just never hit me that I could focus on events alone. Once it was pointed out to me a lightbulb went on and I knew from that moment what I was destined to do. When did you get the idea for Exceptional Events? Just over four years ago, having been working as a floor manager and experiential events planner in luxury retail, I felt it was my purpose in life to be able to offer amazing luxury experiences on a once-in-a-lifetime level to people who don’t necessarily get to enjoy life the way they’d really like to every day! I thought, surely, if you’re going to do something just once in your life, it would most likely be in honour of a truly special or momentous occasion. I decided to focus more on private events… offering exceptional experiences that my clients would never forget and love to recall with only the most incredible fondness! I did a professional diploma course to boost my confidence so I would feel secure running my own business. I then got a job as an events planner because I was still incredibly nervous about starting up my own business. Entrepreneurship felt like a new and scary world that I wasn’t sure I could hack. But then, after just a few months, I got restless… knowing exactly what I wanted to do and what I felt I was meant to do – I gave notice. A month later, I started my limited company. Of course, I had spoken to many people over those preceding months who helped to boost my confidence by assuring me I was doing the right thing! I had faith in my creativity, my organisational skills and also I’ve a positive mindset. and knew deep down that these attributes would help me to succeed. I design, plan and manage wow-inducing, once in a lifetime event experiences all around the world for only the most discerning clients. In doing so, I provide a true end to end luxury concierge service ahead of, during and immediately following every event. I aim to make the impossible possible and all of my clients’ dreams come true through personal bespoke luxury event experiences. Men and women, girls and boys and everyone in between, who want to experience all that life has to offer at least once-in-their lives. They have a love of life and living, a bit of an adventurous spirit and a disposable income that they realise it’s better to use for making incredible memories now, rather than waiting for some other time that may or may not come ‘some day’. I network and love chatting with people. And generally, I let word of mouth do most of my marketing. I’ve recently started showcasing as well at particularly high-end exhibitions and events like the Elite London and in August, I’ll be showcasing at the Global Championships. Fear of failure. I’m an achiever. But the very concept of failing at anything would keep me up at night and potentially stop me in my tracks. Now, I try to surround myself only with other positive people who will continue to remind me of all that I’m capable of doing. I also listen to an extraordinary number of inspiring audiobooks every month that help to keep my mindset focused and determined to achieve my goals. Driving to my last event, while on the motorway, I had this incredible feeling of peace, happiness and confidence that I was doing exactly what I was meant to be doing. The world felt so right and in that moment, I was actually extremely proud to have come so far after all these years and to have found the thing that (amazingly) makes me even happier than dancing! All because I took the leap of faith, listened to the people who love me and continued to stay positive that my dreams of bringing gorgeous once-in-a-lifetime event experiences to people would eventually come true. Not only does it use literally all of my skills and talents but I get to have this incredible impact on so many other people’s lives. I get to make dreams come true through my creativity, my communication skills, my love of spreadsheets and numbers and my mad organisational skills. I am, and will always be a choreographer at heart. As a luxury event planner, I get to choreograph life and experiences on a whole new level. My Grandmom. She is 101 years old and she still reminds me that as long as I’m having fun, that’s what life is all about. Also Lucille Ball. She was a creative, talented and hilarious comic genius with such a keen head for business. And a gorgeous red-head to boot! Be open to change and to trying new things. What suits you or works for you one day may not suit you or work for you a year later. Surround yourself only with smart positive people and move away from anyone who seems to be holding you back. You can find out more about Exceptional Events on their website.